While creating models to predict habitat connectivity is nothing new, creating models that are practically applicable and simple to use may be. Current dynamic models can host a variety of problems that limit their effective use, such as the need for mountains of data, the difficulty in interpreting large numbers of simulations with multiple parameters, or a basis in impractical assumptions. Although static models that eliminate complexity by focusing on a single dispersing individual can be easier to interpret and implement, they can also be limited in their reflection of reality. So how to bridge this gap and make models that managers can use on a real landscape? With most models based on dispersal probabilities between fragmented patches, a logical place to start is with how dispersal is modeled. Getting from Patch A to Patch B, however, isn’t always as simple as it seems. Looking only at the probability of direct dispersal between the patches tends to ignore a crucial point: stepping stones. Despite the ecological significance inherent in stepping stones, or intermediate habitat patches, no current static models truly consider them explicitly in their full importance to enhance connectivity. 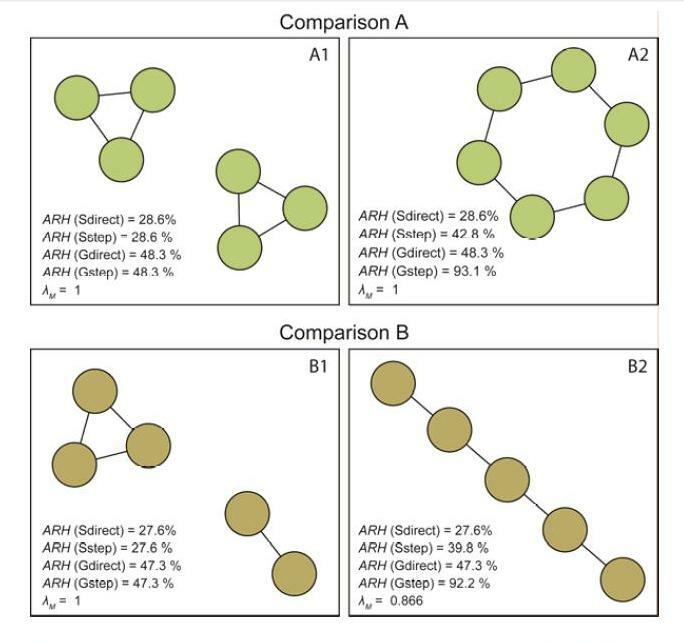 This is the problem that Santiago Saura and colleagues try to address in their new publication, through the creation of generalized versions of current models and incorporating stepping stones that can sustain reproduction, population persistence and species range expansion through multiple generations. The focus of their analysis compares models that either incorporate or ignore stepping stones, folded into their generalized version of pre-existing standard models. 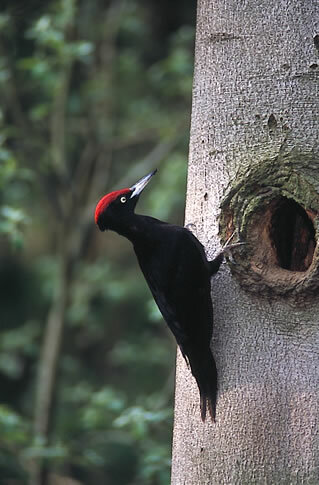 To make these comparisons more concrete, they evaluate the models based on the 20 year known range expansion of Black Woodpeckers (Dryocopus martius) in Spain. 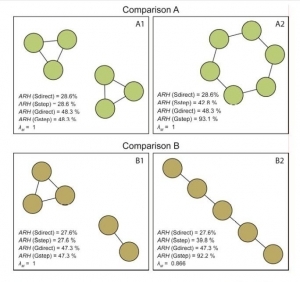 The outcome of these comparisons shows that generalized models that include stepping stones seem most effective in reflecting actual connectivity. The implication is that the value of stepping stones lies in their ability to sustain populations across multiple generations by allowing for reproduction during continuous species range expansion. One important note is that stepping stones must still be of a minimum threshold size, or else they could potentially be useless as connectivity providers. Overall, these novel modeling techniques provide an improved way to think about habitat connectivity that is still tractable and operational in conservation planning. They emphasize the value of intermediate habitats, and provide support for maintaining smaller, less direct dispersal patches that might otherwise be overlooked in their conservation value. Saura, S., Ö. Bodin and M.-J. Fortin. 2013. Stepping stones are crucial for species’ long-distance dispersal and range expansion through habitat networks. Journal of Applied Ecology. DOI 10.1111/1365-2664.12179. Heather Cayton is the Managing Director of ConservationCorridor.org and a Research Assistant at Michigan State University. She received her B.S. from the University of Virginia and her M.S. 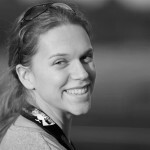 from Virginia Tech, and has spent the past nine years studying corridors and rare butterflies in North Carolina.